An article from The Atlantic in September explored the the impact of exchange programs between students of different backgrounds. 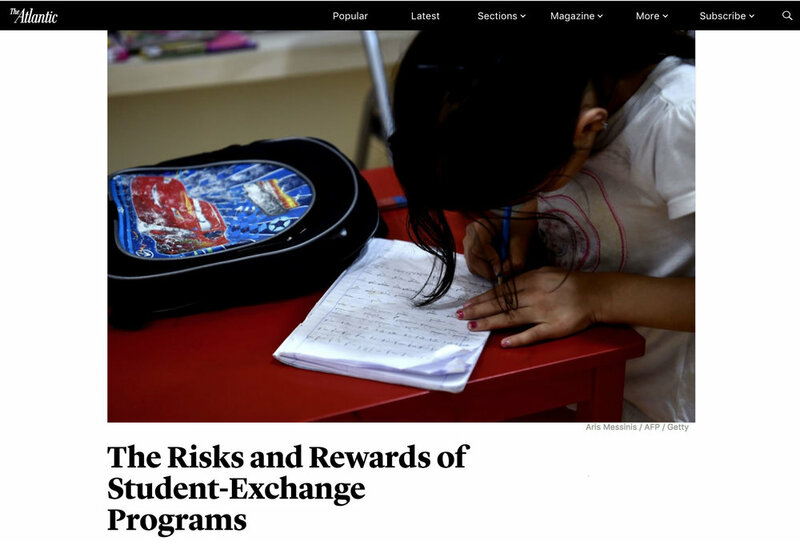 IntegrateNYC was mentioned in the article, and Sarah Camiscoli offered her own opinions about the benefit or harm of school exchanges. It was announced yesterday that the Donors' Education Collaborative in the New York Community Trust is donating a total $740,000 to various organizations that advocate for change within the New York City school system. Both IntegrateNYC and NY Appleseed were named as organizations that will receive funding from this donation. The article mentions the work of both organizations in building a student movement for school integration. 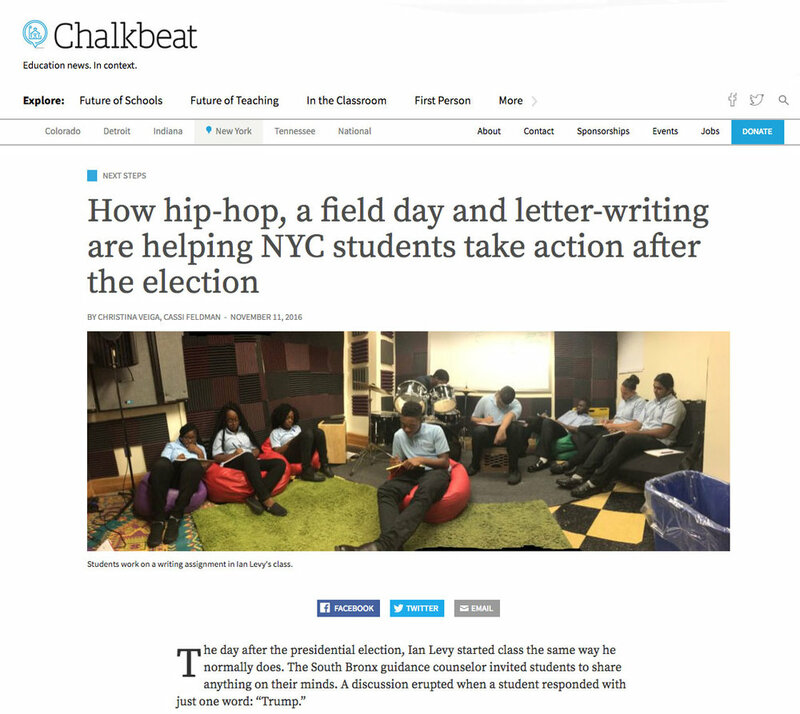 Chalkbeat: "Here's What New York City Students Told Top State Officials About School Segregation"
In July, student activists from IntegrateNYC and Epic Theater Ensemble met with New York state policymakers to share their perspectives on segregation in New York City high schools. 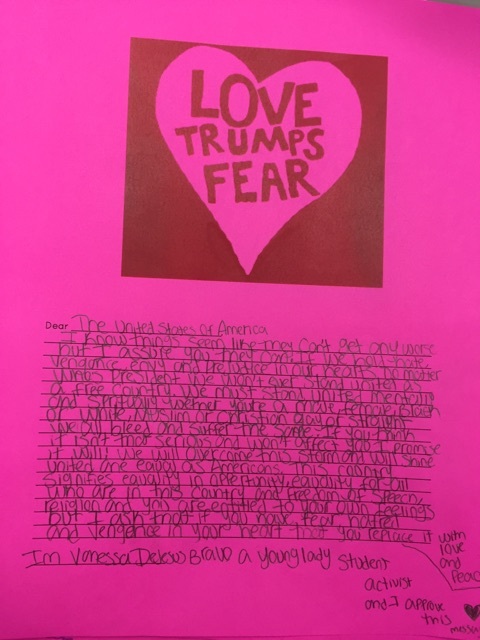 Chalkbeat covered the story and featured student testimonies about their own high school experiences of segregation and its implications. "When I went into the [school] exchange, I was really excited to see how different the other school would be. But when I got there, I saw how much of a community that school had and personally, I didn’t feel that in my school. 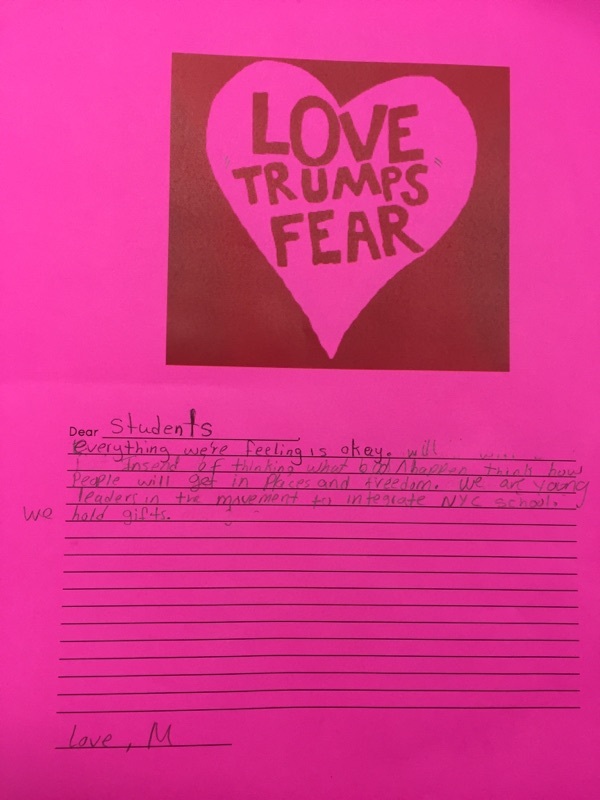 My school is majority white and it’s just very segregated within the school, so [I liked] coming into [a different] school and seeing how much community they had and how friendly they are. They just say hi to each other in the hallways and everybody knows each other and even us. We went in and we’re like strangers and they were so welcoming to us and I know they didn’t have the same experience at our school. That really interested me and that’s how I got into the work." The Atlantic: "The New Champions of School Integration"
In a new feature on the work to integrate schools, The Atlantic includes IntegrateNYC and our work with Harvard’s Reimagining Integration program, the National Coalition on School Diversity, and The Century Foundation to strategize for this modern movement. As the largest school district in the U.S. and one of the most segregated, New York City "officials have taken preliminary steps to make diversity a consideration in more of the district’s policies." 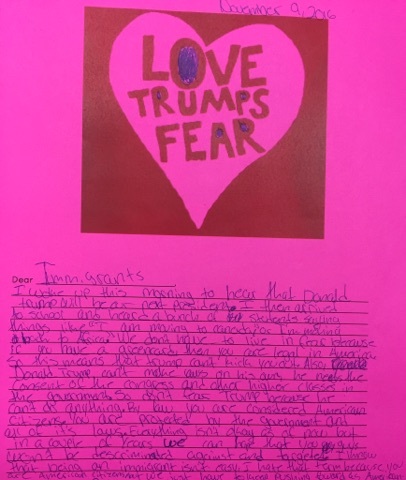 Read the full article to hear more about the actions being taken and the role of IntegrateNYC in ensuring the diversity of our city is brought into the classrooms of every school. The greatest question any authoritative figure can ask a child or a student. Inclusivity in all aspects of decision making is vital, but it is most important in our schools. I would like to consider myself a youth activist working to diversify a segregated school system, and yet while legislation is the ultimate goal in any reform process, it is the student advocates that create change from the bottom on up. 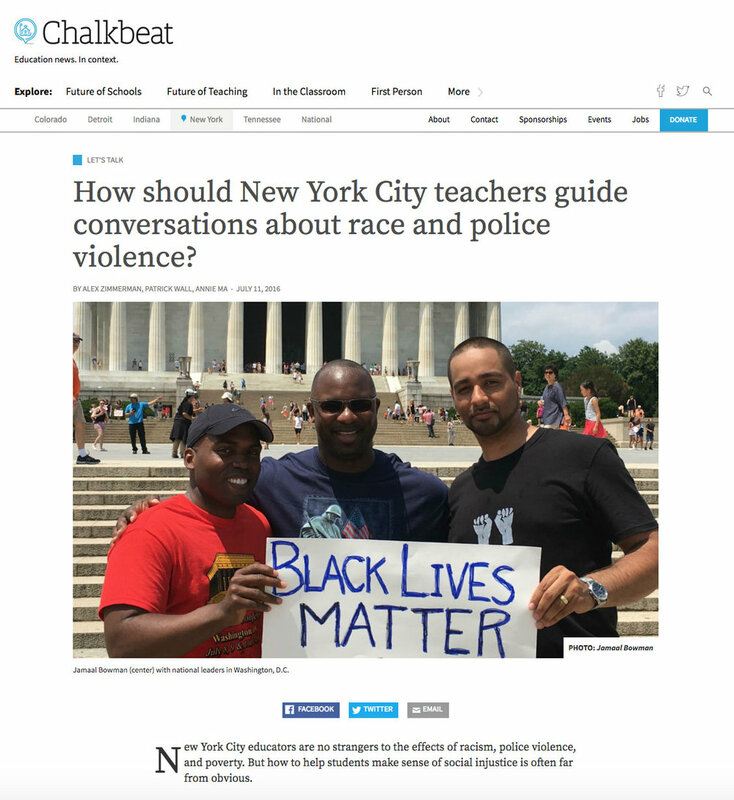 Chalkbeat: "How Should New York City Teachers Guide Conversations About Race and Police Violence?" 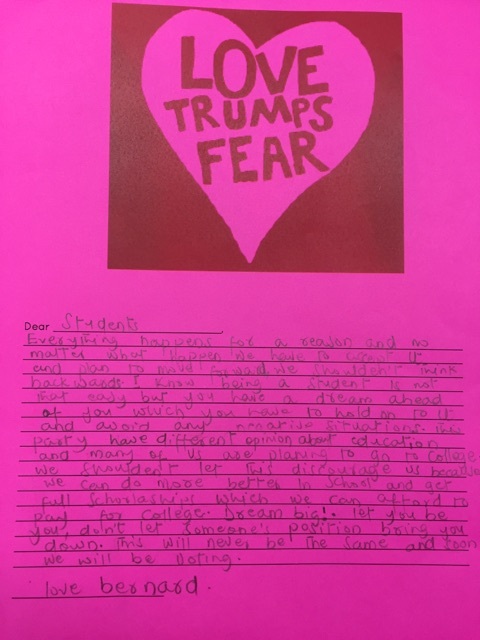 Chalkbeat interviewed parents, students, and teachers across the city to discuss how to have powerful conversations about racism and police violence. Hebh Jamal, our Lead Student Activist, and Sarah Camiscoli, IntegrateNYC Co-Director, share their voice and a vision for systemic solutions to systemic issues. 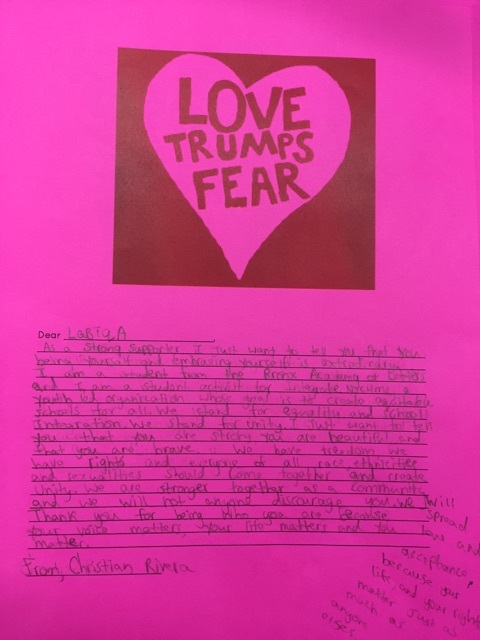 In the latest issue of Teaching Tolerance, IntegrateNYC student interns from Bronx Academy of Letters speak about the discomfort of police presence in schools. They also comment on the excessive police presence found in schools that serve segregated students of color over those that serve integrated school communities. This year, IntegrateNYC was welcomed into the National Coalition on School Diversity for its contribution to the integration movement through youth organizing and political advocacy. We are very excited to be a part of this movement! A Princeton University Breakout trip entitled "Disparate Youth: Urban School Segregation in NYC" met with IntegrateNYC to discuss our work in addressing school segregation. Read their blog post on our stimulating conversation. Learn more about the Breakout program here.